The world's largest bank wants to help build affordable housing in Chicago, and they have committed to invest $40 million toward the effort. JPMorgan & Chase announced recently that they would spend the next 3 years and $40 million to revitalize Chicago's West and South sides and provide affordable housing for the city's low-income neighborhoods. 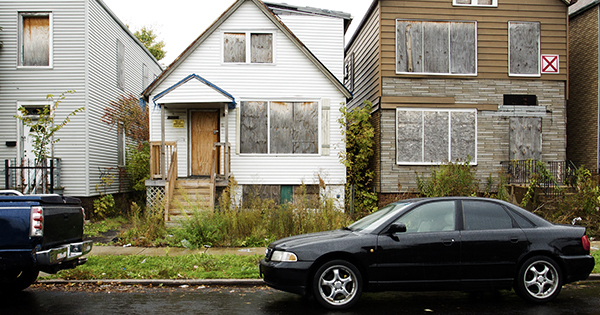 Similar to Detroit, the West and South areas of Chicago have suffered with violence and unemployment. Three years ago, Chase invested $100 million to help Detroit with affordable housing, small businesses funding and training workers. Now Chase is turning its attention to help Chicago. Chase continues to invest $250 million a year to help different cities in need. What has changed over the last few years, however, is where the money is being spent. Chase CEO Jamie Dimon explained that, rather than civic support, the bank is now focusing "nearly exclusively on creating economic opportunity in parts of the country that are badly lagging." What this means for low-income neighborhoods is much needed improvement in affordable housing, something low-income families desperately need in many large, metropolitan areas of the country. What is notable about Chase's commitment is that the amount of funding is a 50 percent increase in the $8-$9 million the bank normally contributes. It is also the first-time Chase has made such a multiyear commitment in Chicago. Another notable fact is that the $40 million commitment from Chase is over and above their $400,000 commitment to nonprofit lender Accion Chicago to back minority-owned neighborhood businesses that often cannot get access to traditional bank loans. Based in New York, Chase is Chicago's largest retail and commercial bank, employing nearly 14,000 in the area and servicing more than 5.8 million local consumers. Chase has over 350 local branches, making it by far the most extensive bank-branch network in the area.